I had quite a find at the dollar store this week! 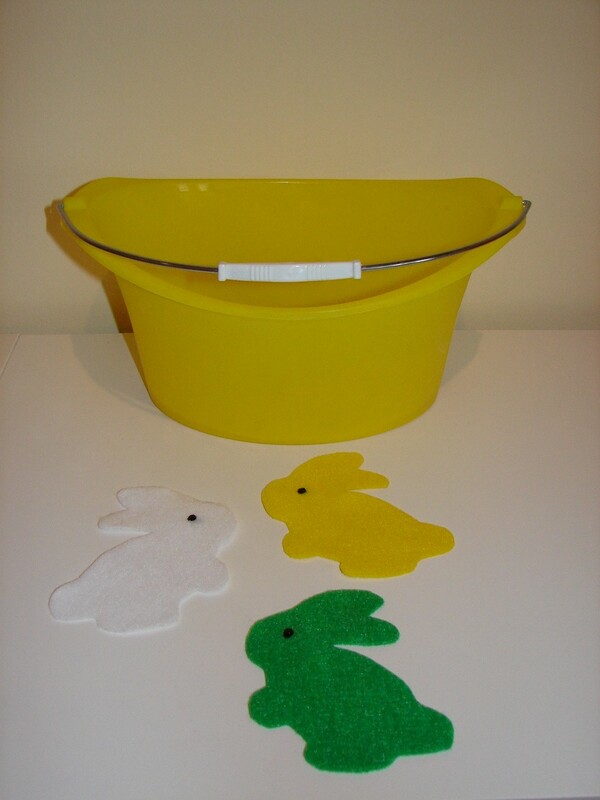 I’ve been looking for a while for primary colored buckets to use for White Rabbit’s Color Book and finally found them! Just in time for spring. 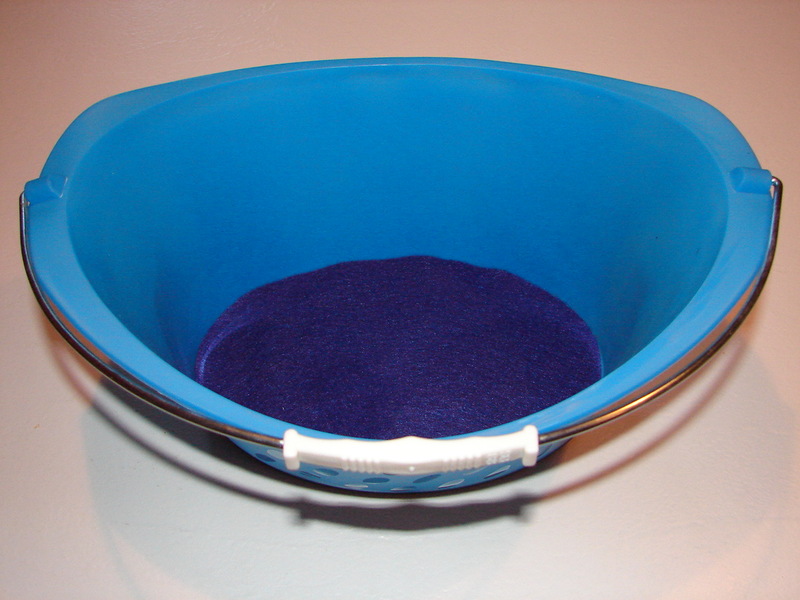 First, you need to cut felt “paint” to fit in the bottom of each bucket. 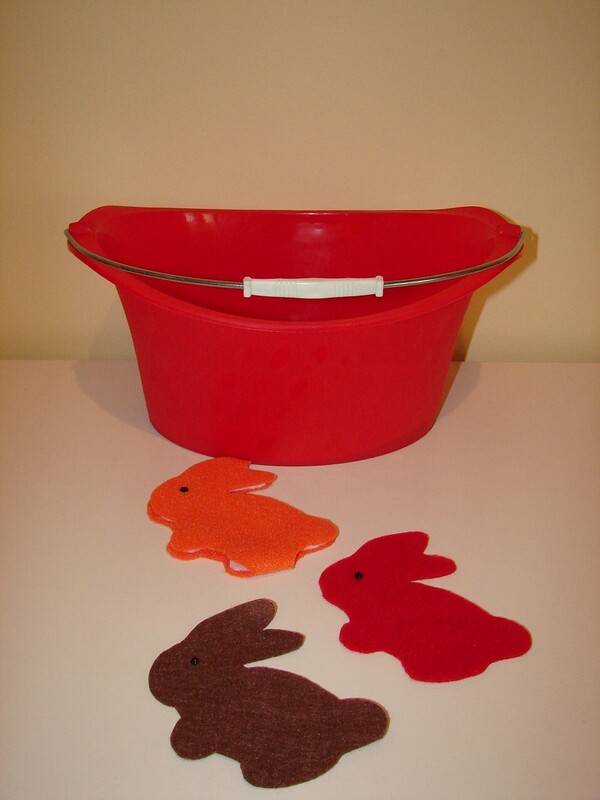 Put a Velcro tab in one corner to keep it in place to cover up the bunnies. 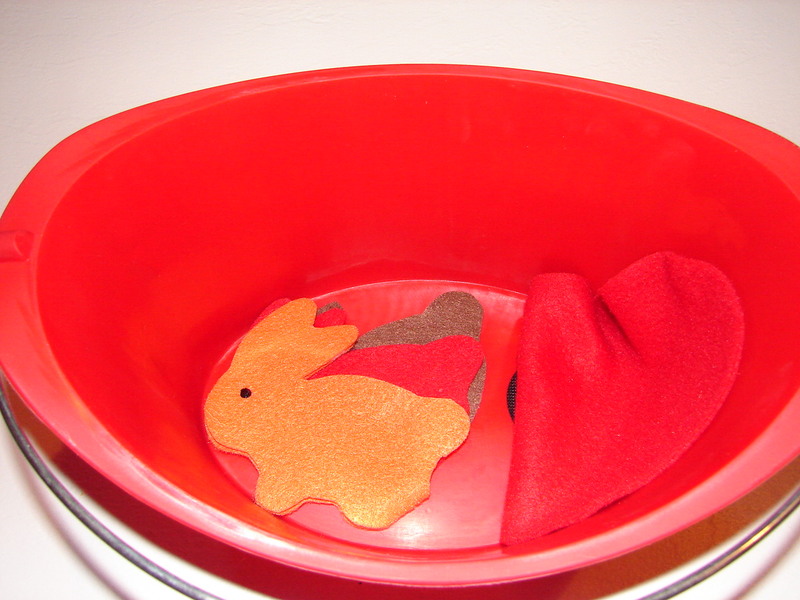 For the purple and orange rabbits, you’ll need to fold a piece of felt in half and cut a smaller white rabbit to place inside. The rabbit takes a shower and turns white again. I use a sponge to “wash” the orange and purple off. The felt sticks to each other well, but you can always add a transparent tab of Velcro if you need to. 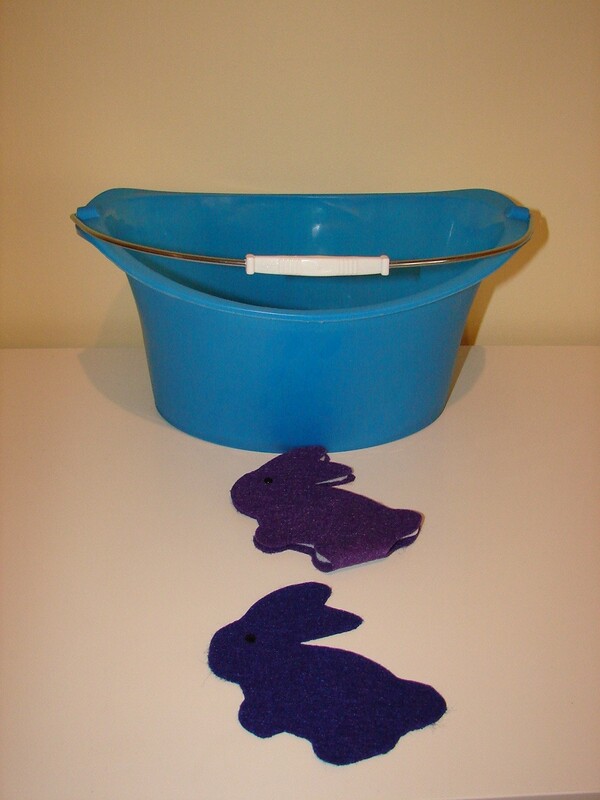 You can load each bucket in the following way: I’ve included a Word template of the story White Rabbit, along with the way to load the buckets in order for storytelling, and a song I found that you can sing as you pull the colored rabbits out of the buckets. 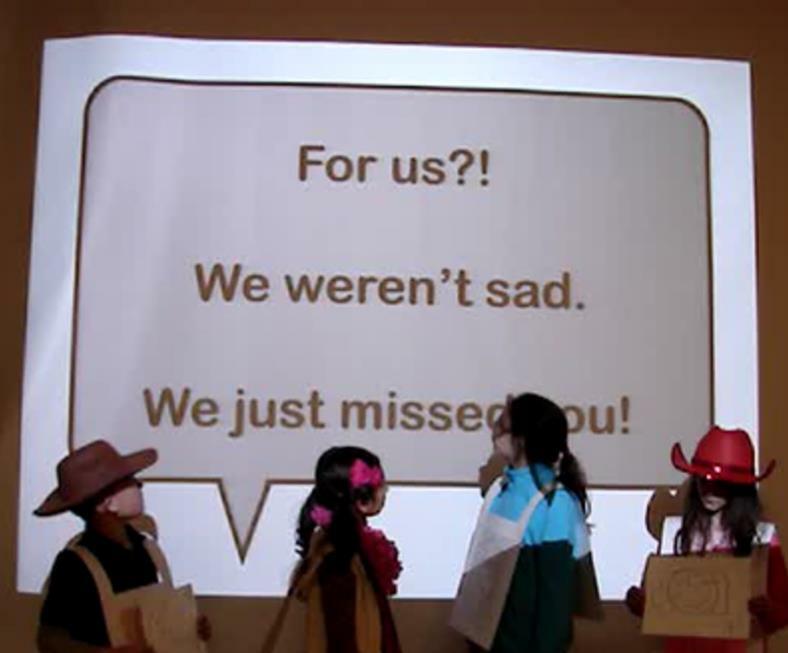 For more flannel ideas, check out the What Happens in Storytime blog for this week’s Flannel Friday, or visit Flannel Friday. 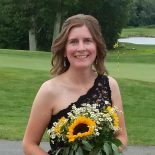 Thanks for sharing this week on the FF Round-Up. This entry was posted on March 28, 2013 by mrsshaia in Flannel Friday, Rabbit storytime and tagged Flannel Friday, rabbit storytime.